The world is crawling with people who want to get access to your digital accounts for nefarious ends, and Google’s Advanced Protection system is now making it easier for those who believe themselves most at risk to make their data more secure. The only cost? A great loss of convenience. But it may be worth it, particularly if you’re a political activist or a journalist working with important sources who wish to remain anonymous. In other words, it’s a good idea if you’re the kind of person whose accounts would be prime targets for hacking. The system works by tossing up a number of barriers before you can get to your accounts, including physical ones. To access accounts like Gmail, Google Drive or YouTube, for instance, you’d need to jack in a physical security key into your PC through a USB port. Knowing your password won’t be good enough to access your account — you’ll also need to have the key every time. 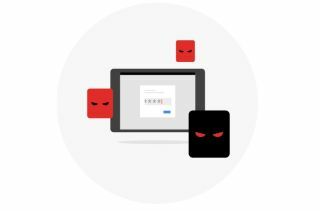 The Advanced Protection system also walls off access to your Google accounts from other apps, which means that someone can’t use a third-party program you have connected to Google Apps as a backdoor into your information. As a drawback, of course, that means you’ll also have to stop using that account yourself. If you’re locked out of your account, you’ll have to deal with “additional reviews and requests” before you can log in again. It’s currently not known what the nature of these extra “requests” will be. One of the best things about the program, though, is that you don’t need to go through any kind of interviews to actually join. It’s open to everyone who’s willing to deal with a bit of extra hassle to keep their information safe. You’ll just need to sign up for it through Google’s Chrome browser, as it supports the U2F standard needed to configure the security keys needed to access your account. Rumors about the program had started to drop a little over two weeks ago. Events of the last few months have demonstrated how these extra precautions can be useful. Google kicks off today's announcement by saying the Advanced Protection program could be used by “campaign staffers preparing for an upcoming election,” a not-so-subtle reference to hacking of the Gmail account of John Podesta in 2016 by teams allegedly associated with Russian intelligence efforts. “Sometimes even the most careful and security-minded users are successfully attacked through phishing scams, especially if those phishing scams were individually targeted at the user in question,” the announcement says. The Advanced Protection program currently only works with consumer Google accounts, although Google’s announcement lists “comparable protections” for Google’s business-oriented G Suite accounts. The company also plans to extend the protections beyond Google’s own accounts at some point in the future.